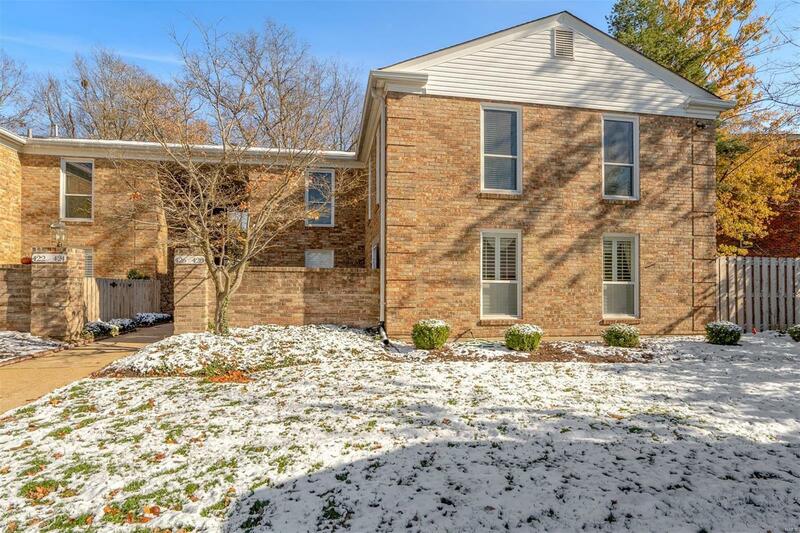 428 A Colony Woods Drive is an incredible opportunity for condo living in the heart of Kirkwood. This 2 bedroom 1.5 bath boasts a large family room with wood floors, a bright kitchen with lots of cabinet space, and a breakfast nook perfect for dining and entertaining. 2 spacious bedrooms accompany this unit; the master contains a private half bath and double closets while the main bathroom has been recently remodeled top to bottom! Enjoy a fantastic outdoor space complete with a wood deck that overlooks a lush wooded area. Storage galore in your downstairs utility room that includes a washer/dryer. This condo is move-in ready, tidy and clean- walk to Kirkwood Park, the Community Center and Downtown Kirkwood. Note: 1 parking space assigned to this unit. Laundry may be moved from downstairs to unit if desired.